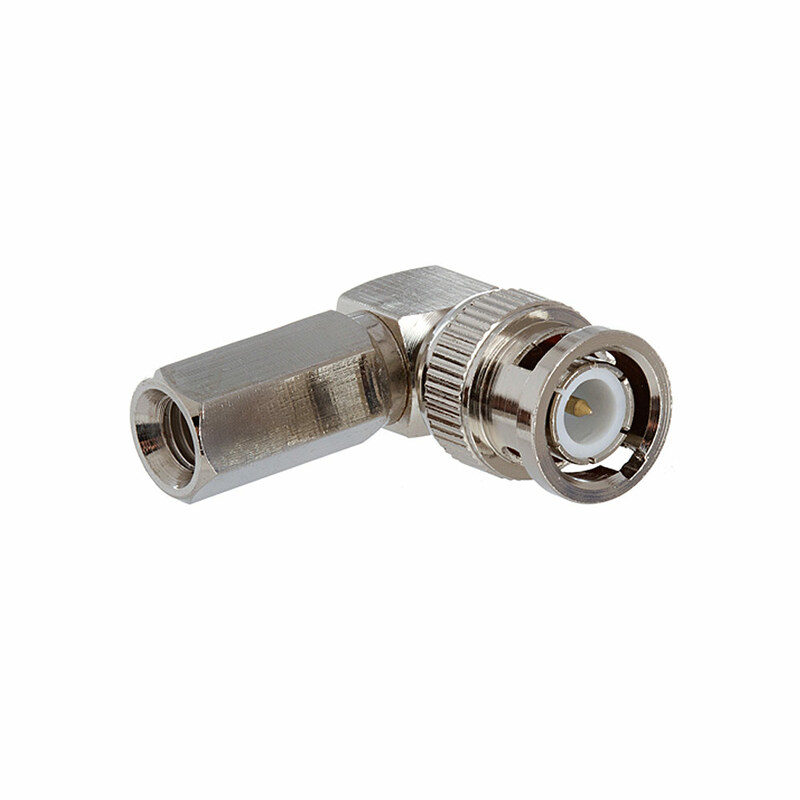 This BNC right angle male connector has been specifically designed for twist on style attachment to RG59 style coaxial cable. 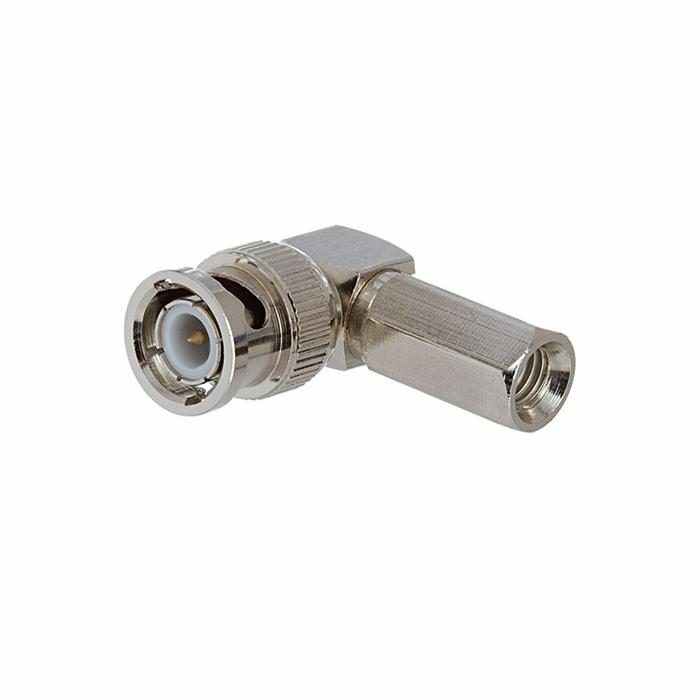 The connector body and clamp nut are machined and nickel plated for superior corrosion resistance and durability. Gold plating is utilized on the center pin for low contact resistance.